Tangy and creamy Polish Dill Pickle Soup, a potato soup variation with added intrigue! The first time I ever tasted Polish Dill Pickle Soup was at a neighborhood potluck. The theme was “Baltic Night” and every family was required to bring a dish from a country bordering the Baltic Sea. It was fun to see (and taste) the wide array of north-eastern european dishes everyone cooked. We brought Potato Latkes and Swedish Creams to the party. However one of our friends brought the show-stopper of the evening, Polish Dill Pickle Soup! Without tasting it, my first impression was…. Weird. Pickles in soup? 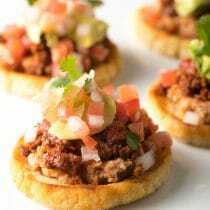 But then I started thinking of all the southern dishes like chicken salad, potato salad, and even sloppy joes that incorporate pickles. I would have tried it anyway, yet this closer-to-home thought process changed my attitude. Needless to say, the Polish Dill Pickle Soup was delicious! A silky potato-based soup with fresh herbs and tangy dill pickles speckled throughout. Several months later I had the opportunity to go to Poland and taste Polish Dill Pickle Soup in its place of origin. Of course, it was utterly fabulous. Just the right balance of richness and acidity. Brined and fermented foods are of great importance to Polish culture. 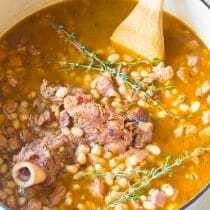 Historically, these foods have been a saving grace through the long cold winters and years of hardship. Poles have learned to use them in tantalizing ways. Pickle soup is just one of example of their ability to make something comforting and delicious with limited resources. 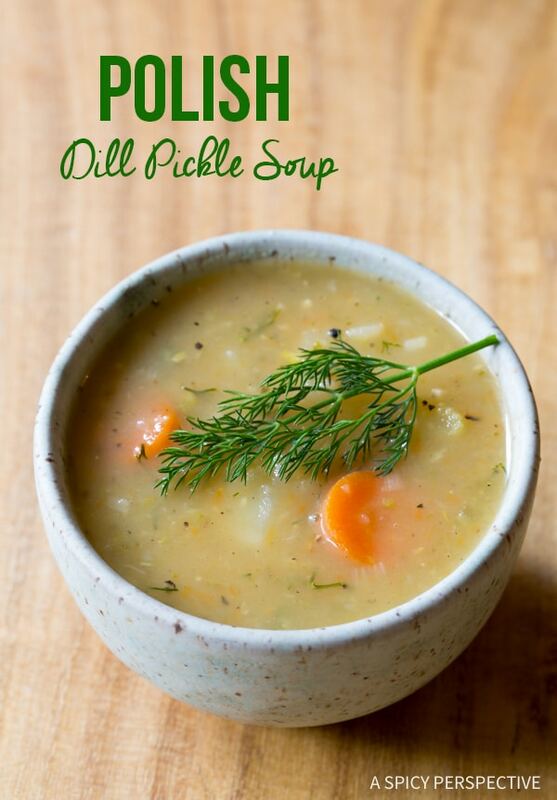 If you love potato soup and you love dill pickles, Polish Dill Pickle Soup needs to be on your must-make list. 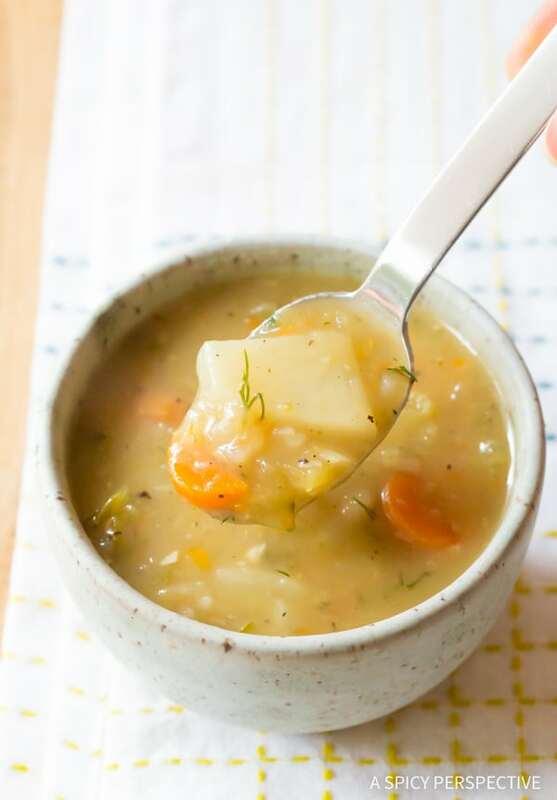 It’s a cozy and unique potato soup variation that is low fat, gluten free, and budget-friendly! Amazing Polish Dill Pickle Soup Recipe - A creamy potato soup with tangy pickles speckled throughout. This is pure Polish comfort food! Prep all the vegetables and grate the pickles. Place a large stock pot over medium heat and add the butter. Once melted, add in the onions. Sauté for 2-3 minutes, then stir in the celery, carrots, and garlic. Sauté for another 5-8 minutes, stirring occasionally. Once the veggies have softened, add the sliced potatoes, broth, grated pickle, and bay leaf. Bring to a boil and simmer the soup for 20 minutes, or until the potatoes are soft. Remove the bay leaf, and use an immersion blender the puree the soup a little to thicken the base. Do not fully puree. Remove 1 cup of soup base from the pot. Stir to cool. Quickly whisk in the egg yolks into the small portion of soup. Whisk fast so the yolks incorporate smoothly into the base, not scramble. Then whisk the egg mixture back into the pot. Simmer for 5 more minutes. 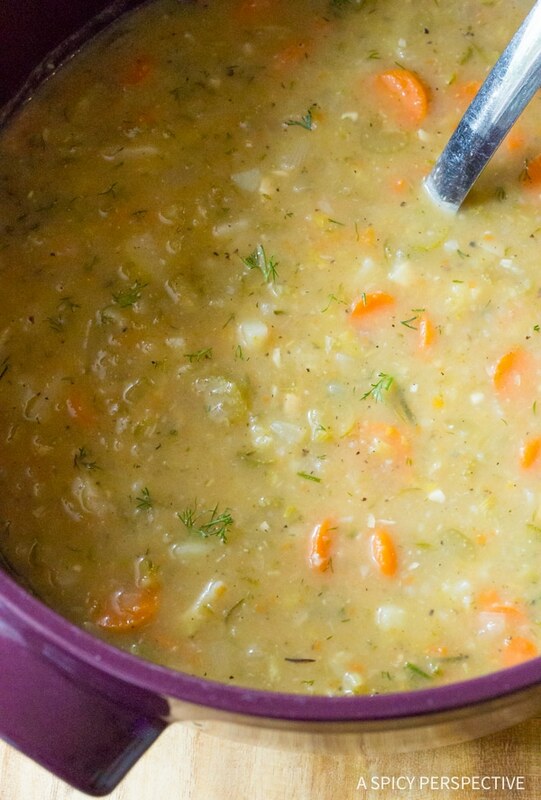 This gives the entire pot of soup a luxurious silky texture. Stir in 1 tablespoon dill pickle juice and fresh dill. Taste, then add more pickle juice if desired and salt and pepper as needed. NOTES: 1) The pickles, pickle juice, and broth add salt to the soup. Do not salt unless needed at the end. 2) If you don't have an immersion blender, you can thicken the soup by placing 2 cups of soup in a standard blender. Open the vent in the lid and cover the blender. Then cover the lid with a kitchen towel for safety. Puree the soup and stir back into the pot. I made dill pickles …. full sour … but they are too sour … could they be salvaged for this soup? Possibly. 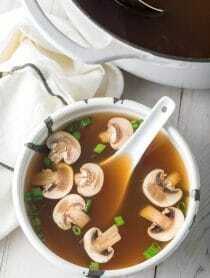 Maybe start with less than the specified amount, so the sourness doesn’t overpower the soup. This was really good! My husband is from Poland and got goosebumps when he tasted it, because it reminded him of the soup his Grandma used to make. I like that it’s creamy without actually having any milk or cream. I was tempted to skip the egg yolk step, but it really added a lot to the texture. Thanks for a great recipe! I am wondering on how well this would freeze? and you thoughts on thawing? 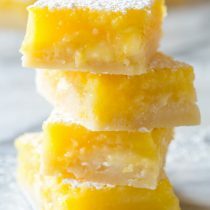 I am going to try to make it for a friend. It should freeze just fine. Just be sure to thaw it at room temperature before reheating. I live in what is referred to as the low country of coastal South Carolina. We have a Polish Restaurant here that serves Dill Pickle soup. I often order it and I love it. Their soup has basically the same ingredients as mentioned in this recipe with the exception of shredded cabbage or it may be sour kraut. I thought I would try making a pot of this soup and use the kraut and maybe diced kielbasa sausage. What do you think of the addition of these items. Are there any adjustment you would recommend. 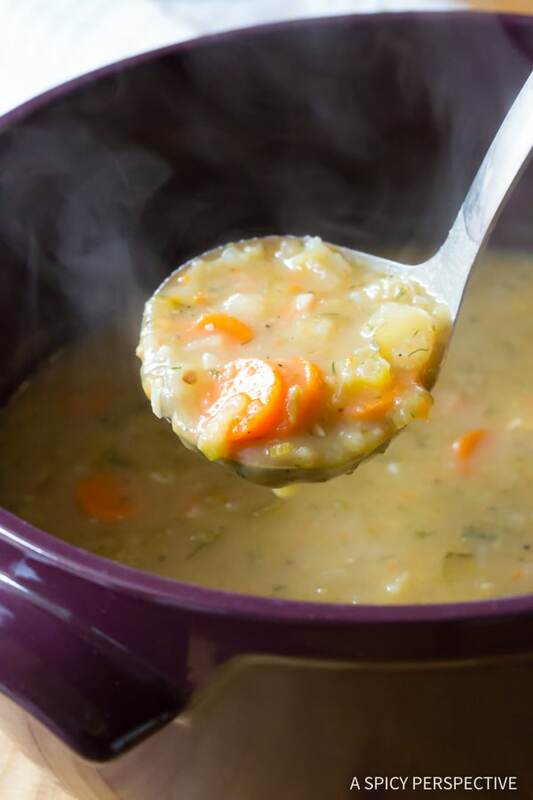 You only blend a portion of the soup to use as a thickener. But you still want chunks, so don’t blend it all. Soup is fantastic! I’m Polish and had dill pickle soup for first time this year at a Polish restaurant in Hamtramck, Michigan and loved it. 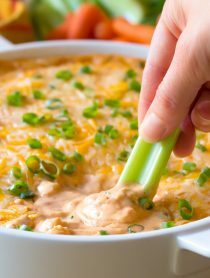 I’ve made this recipe three times now and everyone always asks for seconds! The eggs added for the silky texture is a great touch. Thanks for sharing this recipe. This soup looks delicious! I love dill pickles but have yet to try it in a soup, I can’t wait to make this for my family! thanks so much for sharing! It’s delicious!!! I added some bratwurst, used a little cream instead of eggs, homemade chicken stock instead of vegetable, and topped with sour cream and fresh dill. Amazing!! This soup was delicious! I made it exactly to the recipe and it turned out perfectly! Great flavour and texture! I LOVE pickles and soup! Putting them together seems like a no-brainer :) Do you think I could make this in a crockpot? I imagine I could put everything in, cook for a few hours, then blend and do the yolk thing toward the end?? Hi! By Dill pickle, do you mean dills pickels marinated in a bottle….sorry for my anglish!1. Thank you!!! 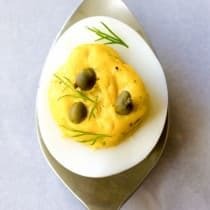 I can’t imagine an alternative for egg yolks but the recipe sounds delectable. Made this for dinner last night. My husband is Polish, so he was all for trying something new. !Thanks for all your fun recipes each week. What’s the purpose of the egg? 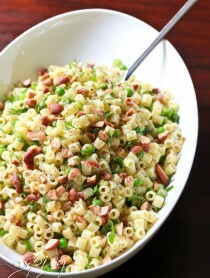 Can something else be substituted since we have an egg allergy and this looks so good! The egg yolks give the soup a silky texture. You can skip them if you like. What a combo! Ill have to give it a try! What an interesting twist on vegetable soup! I love pickles, so I think I’d love this. It looks so thick and rich too!